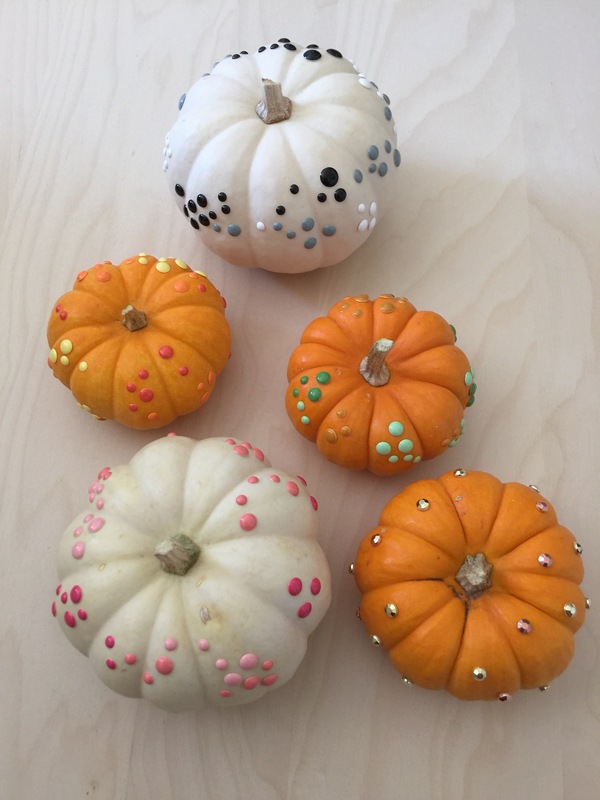 Decorating pumpkins with stickers is a less mess, more color, less spooky, more cute kind of Halloween craft. 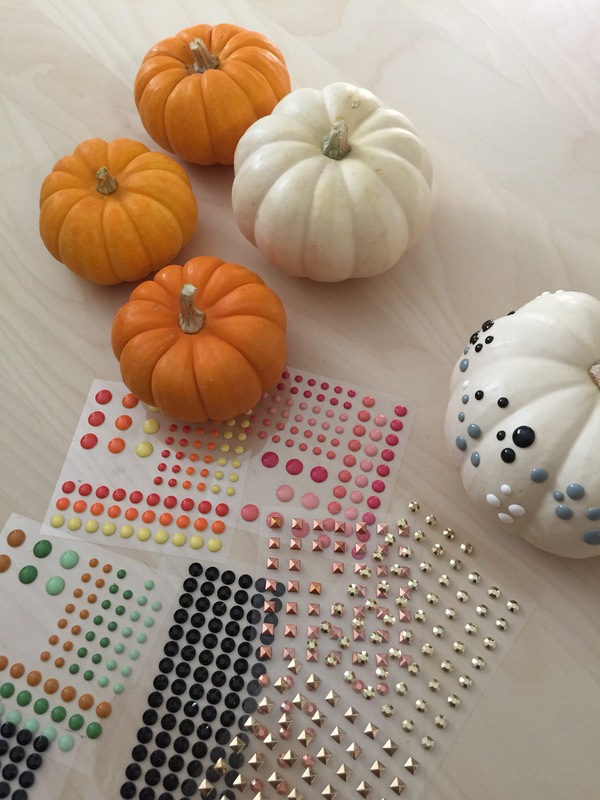 All you need are stickers and pumpkins. 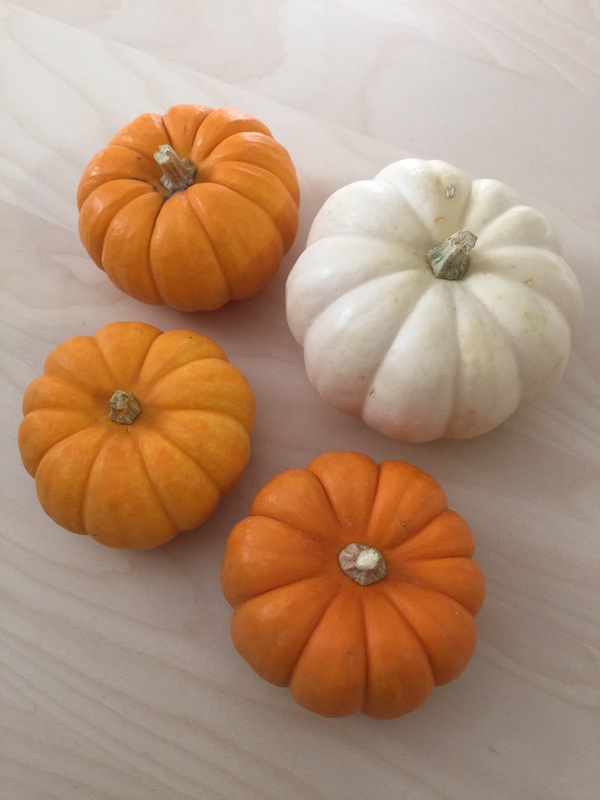 Select pumpkins in any shape and size but note that pumpkins with some flat surfaces may work better with stickers. 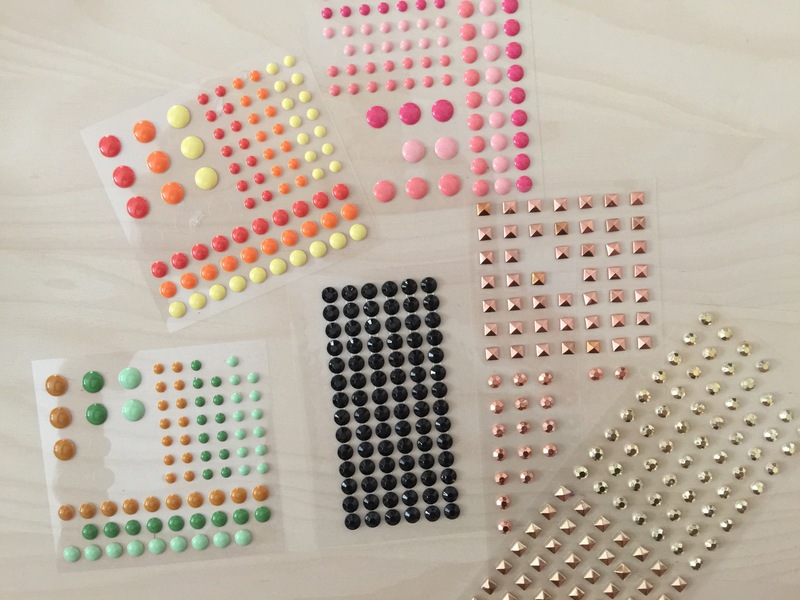 I love using these enamel dot and rhinestone stickers. 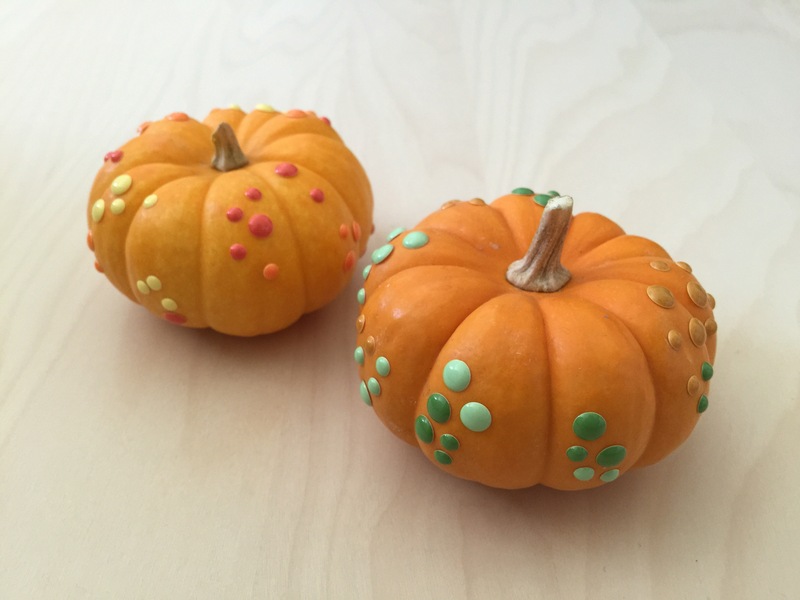 The enamel dots come in an assortment of colors, often already in a fun color palette! Place stickers however you like! 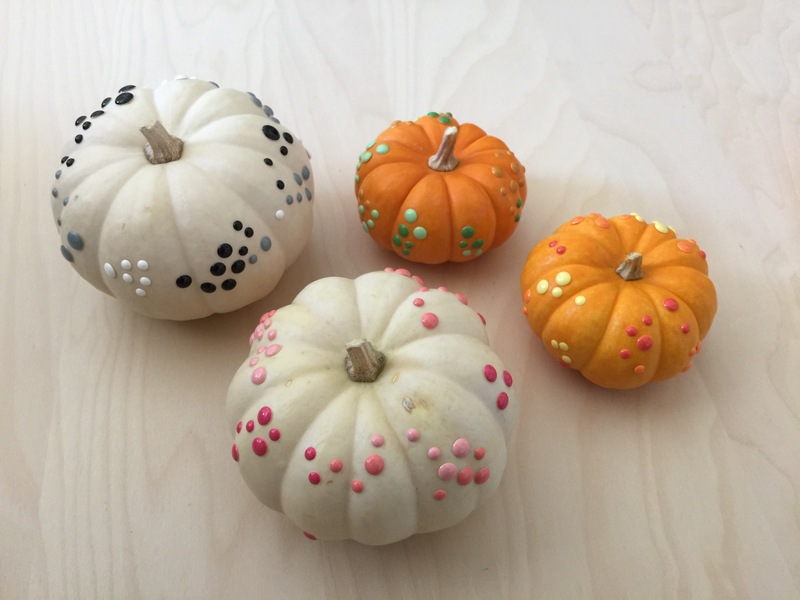 Make patterns or make it random. 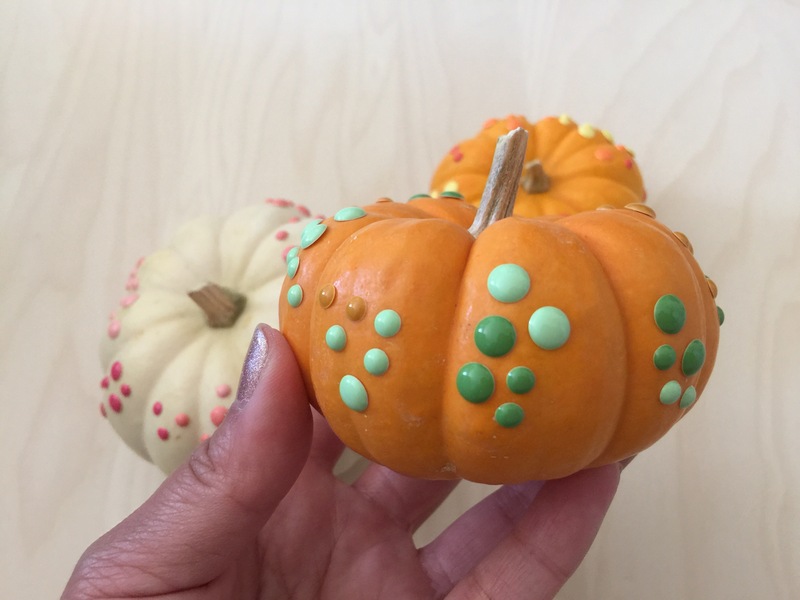 Mix and match and spread the mini pumpkins all over! 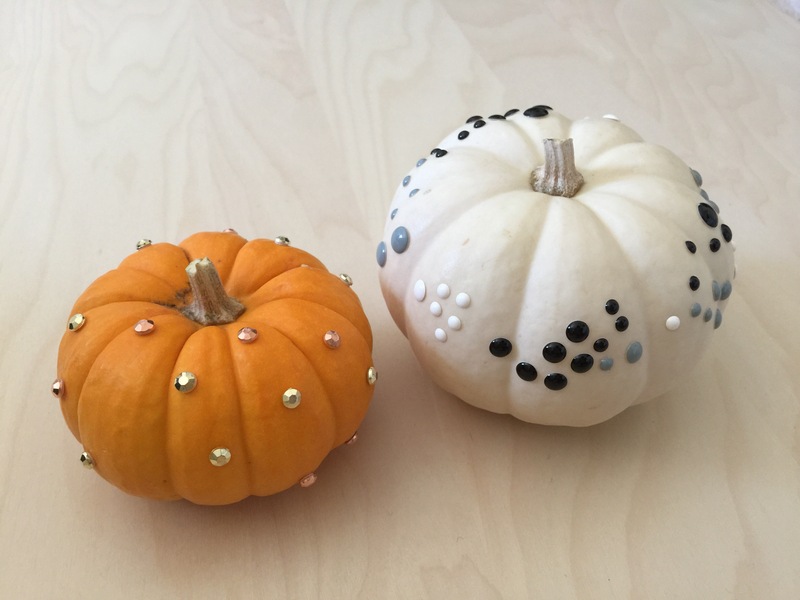 Pumpkin decorating versus pumpkin carving. What’s your preference? Share below! Previous Postre:make 2016 / the company. Next Postre:make 2016 / the makers.